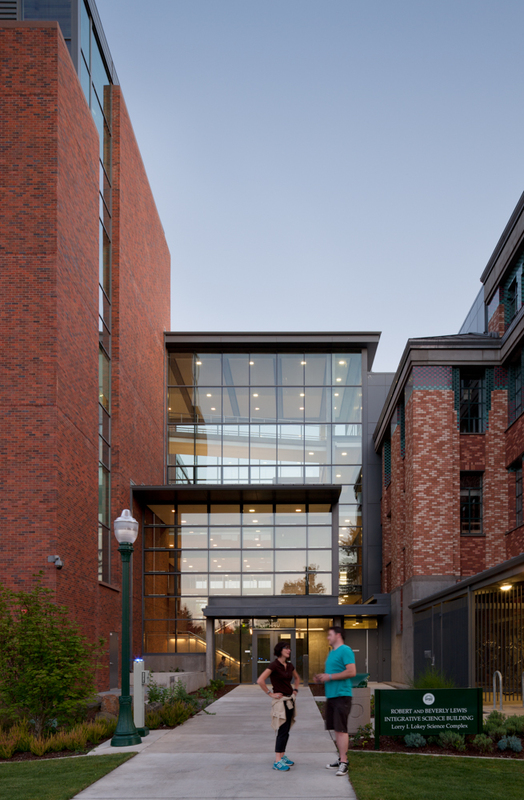 While at Hacker Architects, Amanda Petretti served as a core design team member on this new, multidisciplinary laboratory building that establishes a prominent entry on a campus green and connects to four existing buildings of different eras. The complex program features high-technology wet and dry labs, meeting rooms, and departmental office suites that surround a central atrium. 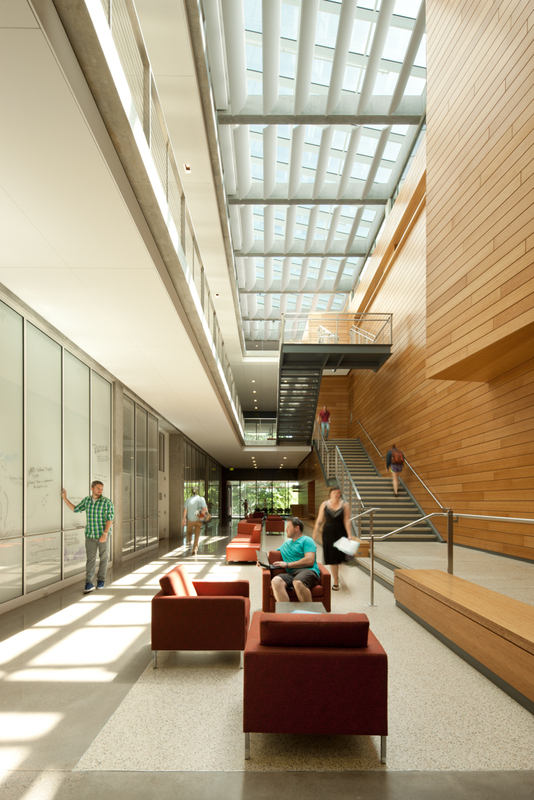 The circulation space is dual-purpose, used as break-out, study, and event space with the goal of sparking dialogue between disparate research groups that are housed within the building. The building achieved LEED Platinum certification thanks to groundbreaking district energy and water strategies. The atrium was carefully designed to bring daylight deep into the large footprint. The skylight position and size were determined through rigorous testing and mock-ups.